Nashville’s award-winning metal band KILLING GRACE have released a new music video for their new album Speak With A Fist, due November 3rd via Sonic Night Music Club. Check out the video for the track "Fight Back Kid" on KNAC.COM HERE. 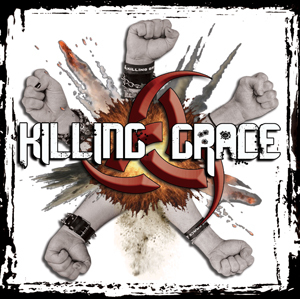 KILLING GRACE is not afraid to genre bend with straight-up southern rock like “One Finger Salute” or something more hard-core as "Screaming In Silence". From the slamming and revved-up track “Say My Name” and groove anthem “Living Like A Suicide”, to the melodic and progressive "Take Me With You", this new release has something for everyone. After spending the better part of a year touring in support of their self-titled debut, hitting venues all across the Southeast and parts of the Mid-West, KILLING GRACE returned to the studio to record their second album, Speak With A Fist. This new release has all the bite and grit that fans of the band have come to expect from them along with some new found edge and progressive sounds. A Fall U.S. tour will be announced soon. 2015 Nomination in the NIMA Awards for Best Hard Rock Band.